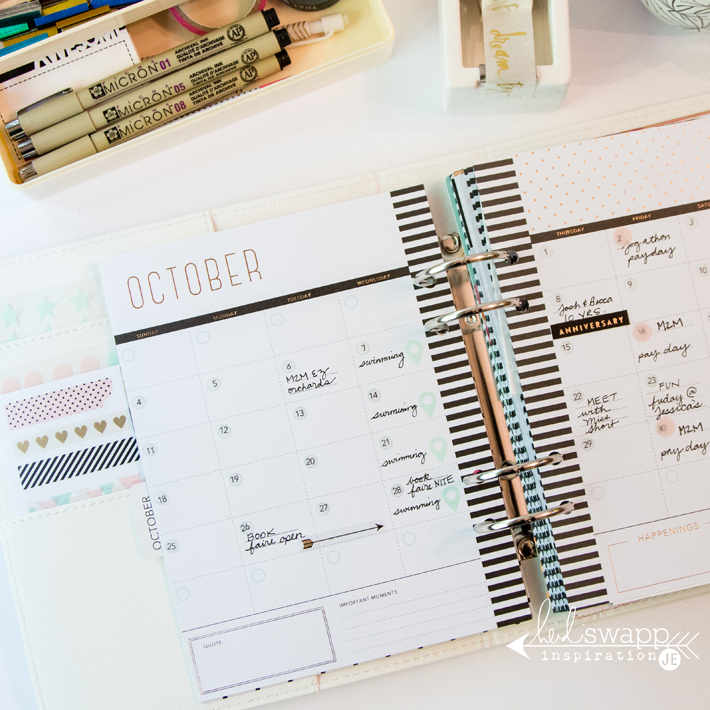 I have been getting so many requests to see inside the Gold Polka Dot Heidi Swapp Memory Planner so I made sure that I worked in it for the entire month of October. 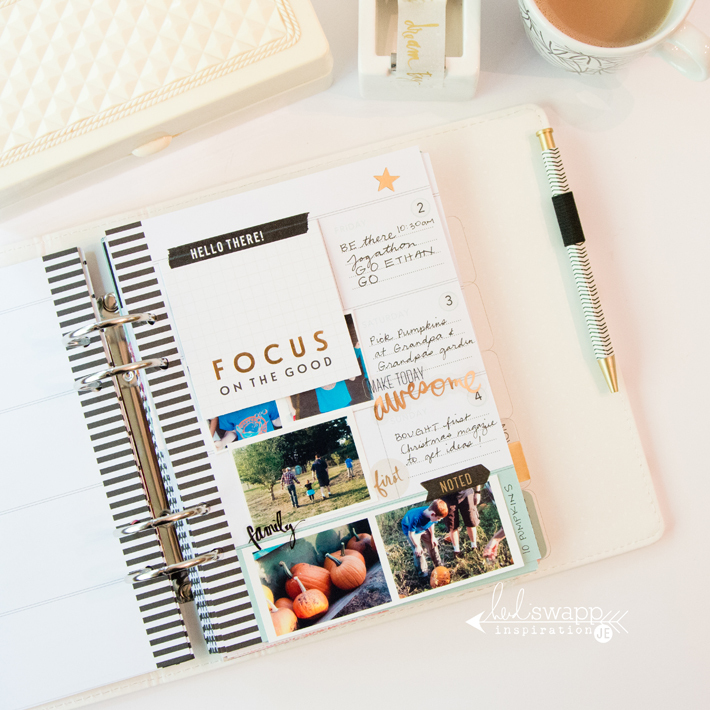 This planner is 1 of the 6 Heidi Swapp 2016 planners coming out in stores. 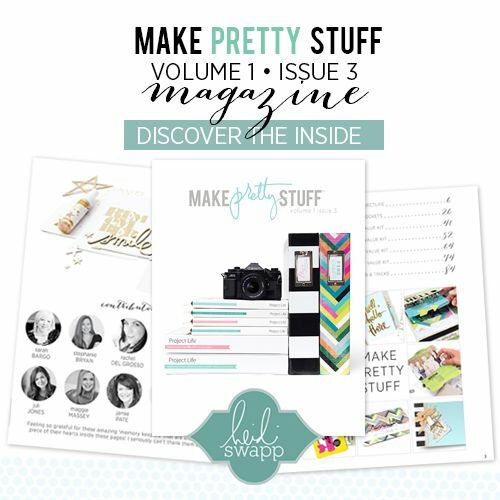 If you want to see the difference in the planners and which one is shipping where, check out my other post here. 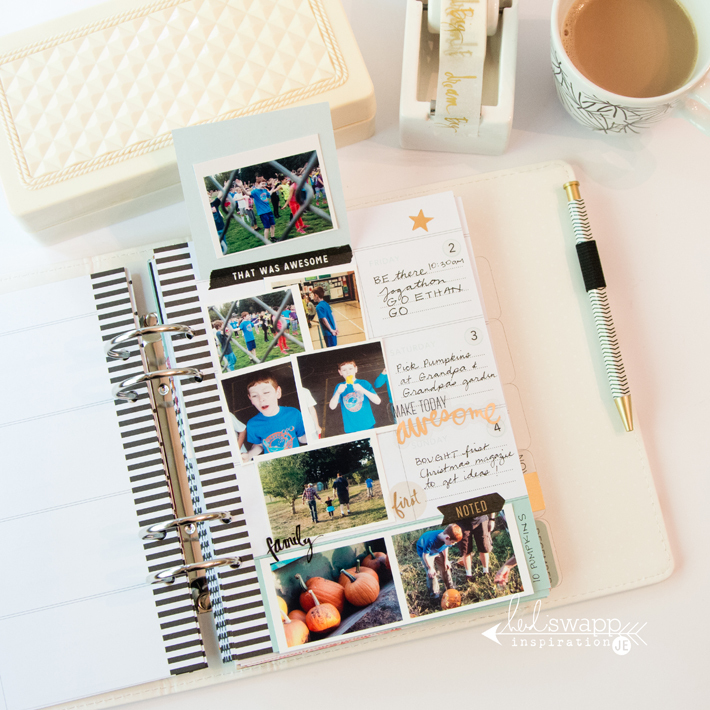 I use this planner as a Memory Planner, where Heidi has encouraged us to write that "one little thing" down a day. I love the concept of being able to write something down each day so that at the end of the month I can look back and really see that my days were full. As a stay at home mom, the everyday can seem repetitive and sometime it is hard to see the little things that make up our blessings. That's why I am making sure to add those funny little moments through out the week! 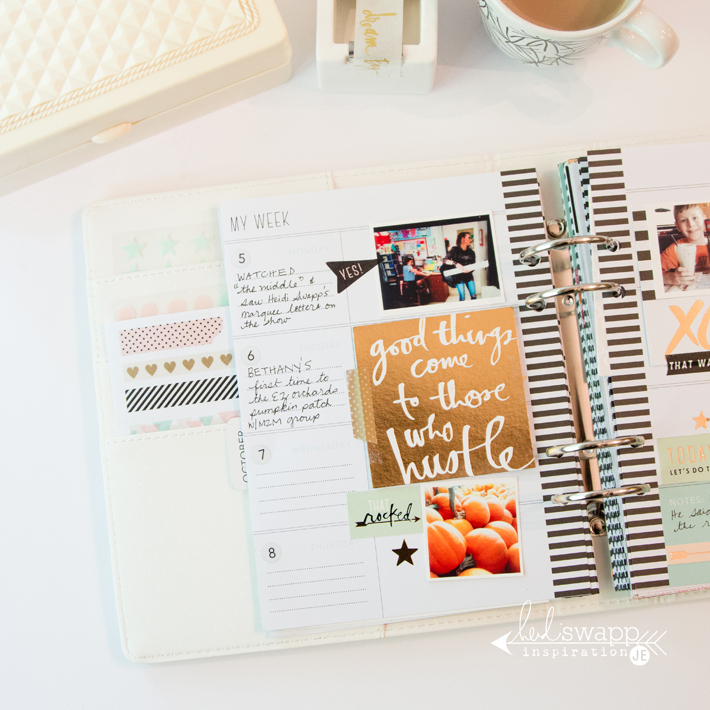 I am taking more time to write the story out under flaps like under the "good things come to those who hustle" card, I even print out some more photos to add underneath if I want. 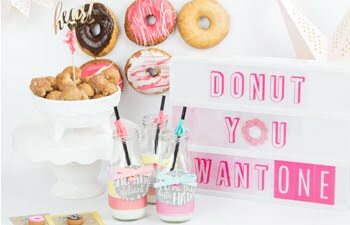 I love adding stickers and washi that comes in this new collection! 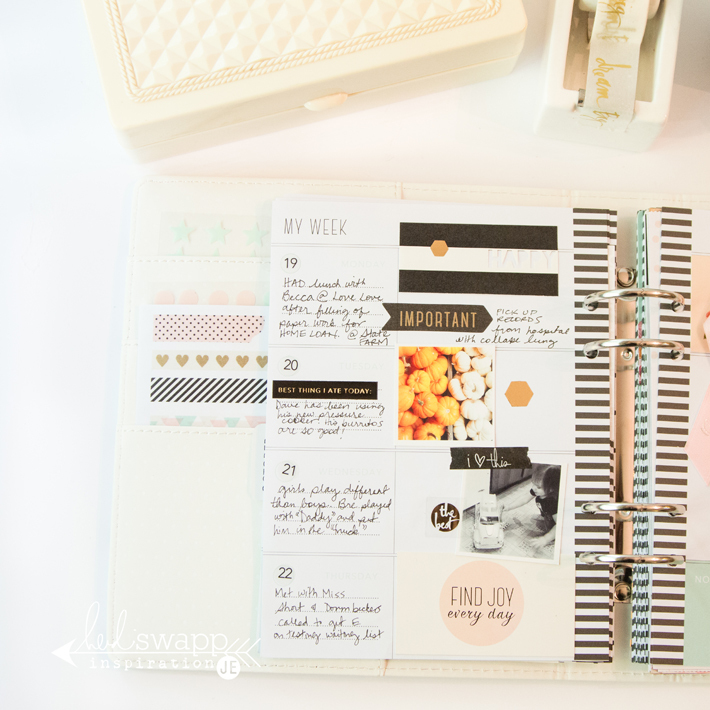 This planner and the accessories are all shipping to independent and online stores soon. 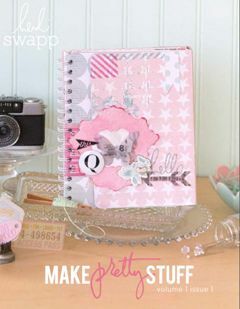 If you happen to go into your local Hobby Lobby, they have a gold and stripe version of this planner. The inside pages are exactly the same except it does not have gold foil. 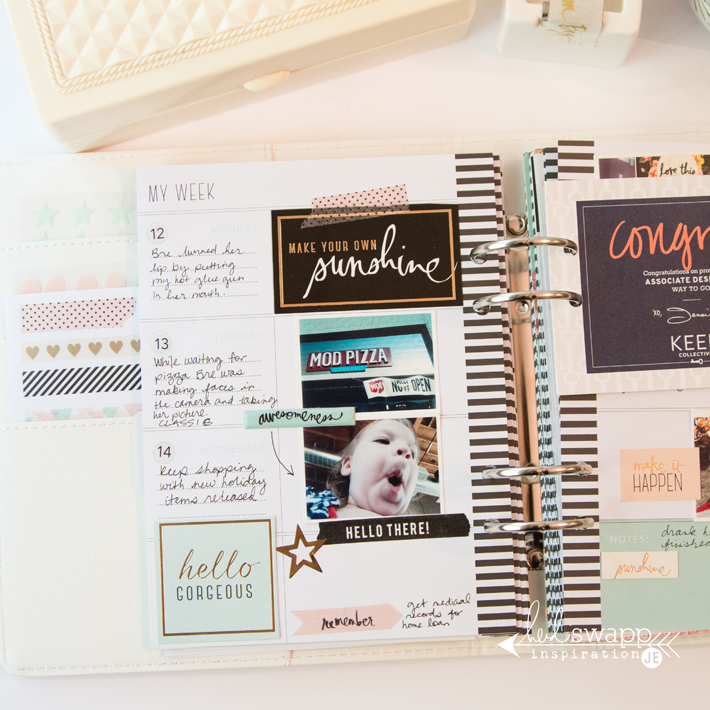 The gold foil is on the dividers and monthly views. This planner also has a pen holder (pen not included) which is perfect! Make note, also, that the dates shown above are clear date stickers (sold separately) which I almost cried tears of joy when I saw them! 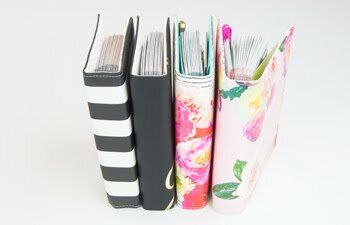 This makes it so much easier to fly through dating my planner! 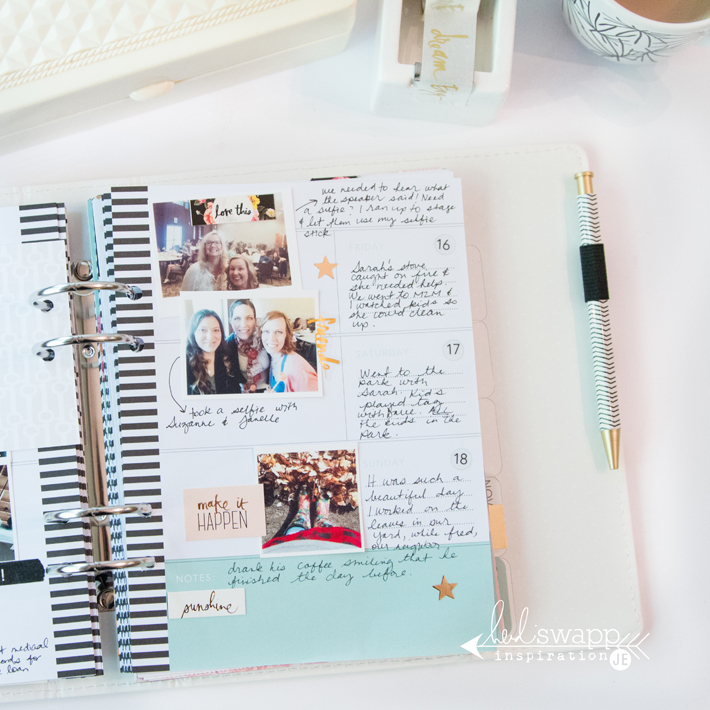 I can't wait to see your planner pages fill with memories! 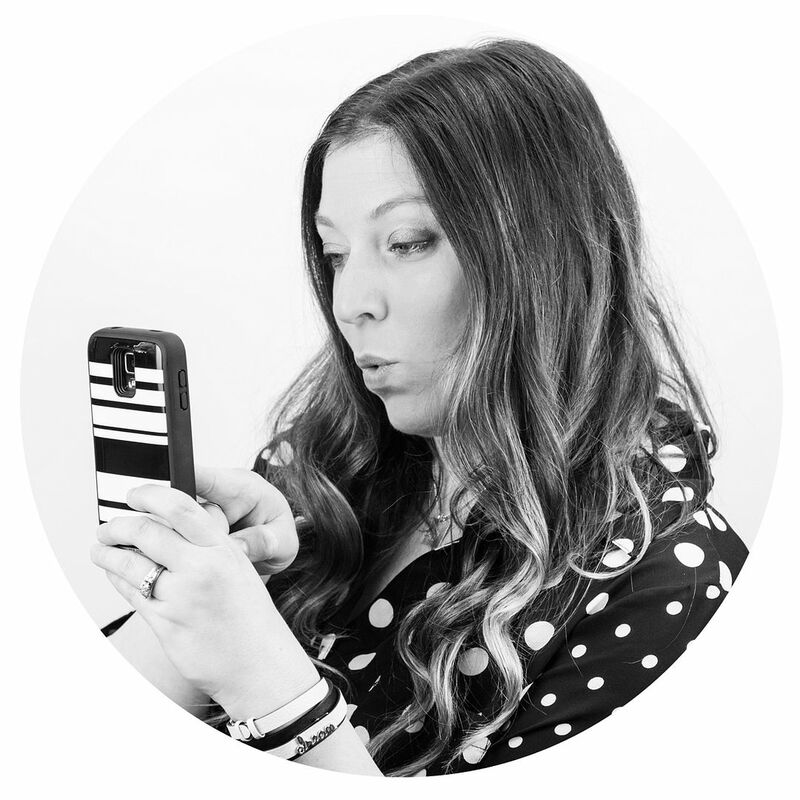 I am looking forward to sharing why I love this process of memory keeping in the upcoming weeks! 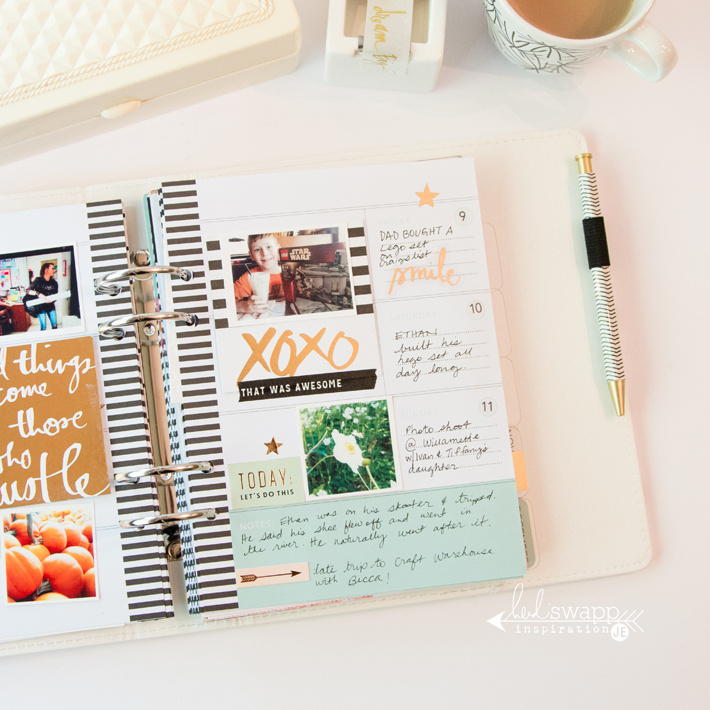 In the meantime, if you have any questions about this planner or the other Memory Planners for 2016, feel free to comment below! I would love to answer any questions you might have! 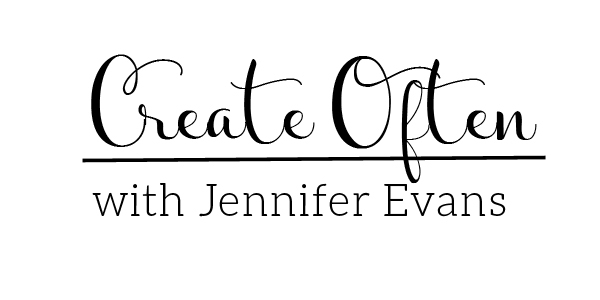 Create Well: Take time to write one little thing down a day and "stop the blur".